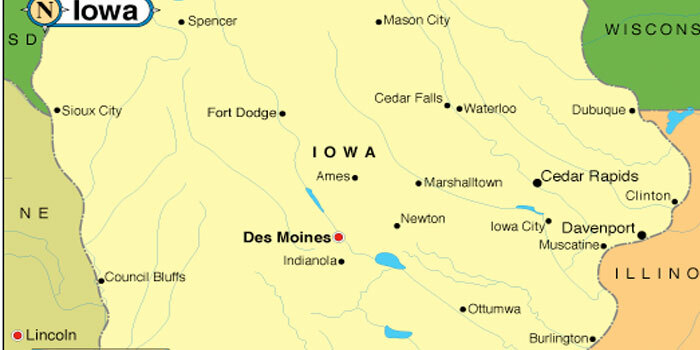 Iowa is in the mid-west of the United States. While it relied mainly on agriculture for its economic development, towards the end of the 20th century, it transitioned into more of a diversified economy with greater focus on manufacturing, financial services, IT and biotechnology, and green energy production. If you’re looking for the safest state in the US to live and work, this is it. The state is fondly referred to as the “Hawkeye State” after a scout in the book “Last of the Mohicans”. Iowa is a state that has a very rich history, a thriving and vibrant community and a business environment that seems to be rapidly growing and expanding, especially in recent years. Do you own a business in Iowa? Are you planning to start-up a new business in the state of Iowa? If you are, we can help to provide you with the services that will put you on the map in this area. We do this by ensuring you are not tied down by incoming calls and general receptionist tasks. Our telephone answering service in Iowa won’t cost you nearly as much as a full-time employee, comes with none of the shackles of hiring staff and also provides you with the opportunity to benefit from a professional assistant available to your customers not just during business hours, but 24 hours a day! Our telephone answering services in Iowa are available in English & Spanish. You won’t know the value of bilingual telephone receptionists until you’ve experienced it first-hand. Your customers are bound to praise the convenience that it provides them with. They won’t be able to tell that the person they are leaving a message with, placing an order with, gathering information from or setting an appointment with is not sitting behind a desk within your very office. Running a small business often means limited resources and staff members, and a demand that seem to overshadow these. Just because your small business is getting busy, doesn’t mean that you can afford to drop the ball. Success only comes with consistency and while you need to get out there and complete a variety of tasks, you also need to make sure that your customers and potential customers calling in aren’t being neglected or completed ignored. With our virtual telephone receptionist service in Iowa, you can take care of business while we handle your phone calls. We provide this service on an ongoing basis or part time for those who need a helping hand when staff members are sick or unavailable. Don’t let demand that is greater than your resources and time bring you down. Yes, you may not be able to be there for your customers 24/7, but that doesn’t mean that we can’t be. With our virtual answering services in Iowa, we will handle all your incoming calls with professionalism and efficiency. Customers will regard our agents as part of your team. Our agents are well-spoken, qualified and experienced. In fact, anything your average receptionist can do, our agents can do better! Is your day constantly disrupted by incoming calls? Unfortunately, you may get annoyed by all the calls, but without them, your business would not run. Tending to your customer’s needs is important, even if it’s inconvenient to the flow of your day. Our outsourced answering services are designed to eliminate the inconvenience by ensuring that someone is able to answer all incoming calls and tend to your customer’s needs and requirements, while you are out doing other business tasks and chores. Our bilingual agents (English and Spanish) will be available to answer all your incoming business calls 24-hours a day, 365 days a year. We will provide you with a dedicated telephone number to use for your business. Our agents will familiarize themselves with your company and product information. Your business will never be “closed” again! Do you seem to have too much on your business plate? If you do, it’s time to acquire assistance. If you’re losing out on business because you can’t handle incoming calls and the tasks you must do, we have small business telephone services available to help your Iowa business. Unfortunately, you cannot be available 24/7 to answer every call that comes in, but our professional, qualified and experienced Spanish and English telephone answering agents can. With our answering services in place, your business will enjoy a professional corporate image, provide your customers with prompt assistance and have a record of all incoming communications that your business receives. Tired of working and running your business according to expected norms? Why not offer your customers something different? Something of real value? It’s easy with our dedicated 24/7/365 answering services in Iowa. How does it work? We provide you with a business telephone number to use – we also provide you with Spanish and English speaking agents to answer all incoming calls. You choose the hours that we work. It’s that easy and oh so effective! There’s no reason for your customers to wait for hours before being assisted by a competent professional. Industries Served by Sunshine Communication Services, Inc.
At Sunshine Communication Services, Inc., we provide answering services to the following businesses in Iowa, USA. Let us design a telephone answering service that caters to your Iowa business’ needs. Need more info? Contact us at Sunshine Communication Services, Inc. today.